With spring comes a new season of guided tours. As we wait to unveil our new itineraries, here are our top 5 spring tours; there’s something for everyone! 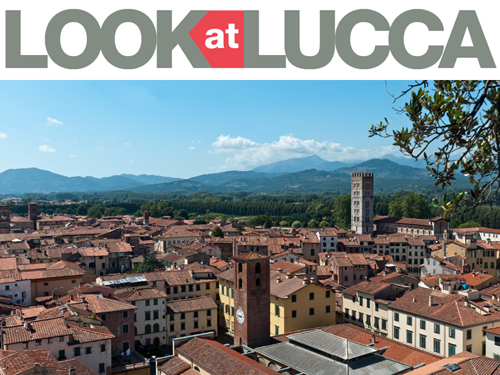 Our number one tour is a visit of Lucca by bike; a classic. Riding around in spring, with the sun on your face and the wind in your hair, especially up on the Renaissance Walls, is a delight! In fact, with our bikes, we ride along the entire ring of the Walls under the plane, horse chestnut, lime, and oak trees and then swing down to the Amphitheater Square and other monumental squares in town. Just like the people of Lucca: they use their bikes to ride on the Walls or through the town’s narrow streets because, inside the walls, the center is a huge restricted traffic zone, so getting around on a bike is practical and safe. The perfect way to end this entertaining and lively tour is with a final toast in a 17th-century wine cellar. Our second most popular tour is another bike tour but in Pisa. Who would have thought that a bike tour of Pisa would be more successful than a tour of the magical Piazza dei Miracoli with its Leaning Tower? We think that this tour is popular because a bike helps people discover lots of surprises in this busy and lively town, in addition to the world-famous piazza: narrow medieval streets, a small but well-furnished produce market, romantic Lungarni (along the Arno River), places full of students and music and good things to eat, worthy of a stop for an authentic Tuscan snack or meal. Third spot goes to this tour that offers the best of Lucca and Tuscany: Villas, Romanesque Churches and the “Hidden” Leonardo da Vinci. In spring, it’s ideal to go outside the walled city and into Lucca’s spectacular countryside – hills covered with vines and olive trees, historic country churches full of great art treasures from all ages, and patrician estates, which originally doubled as farm estates, with their immense gardens in bloom, set among the hills. There is also food galore to choose from: excellent wines, cheeses, and cold cuts made by local craftsmen. 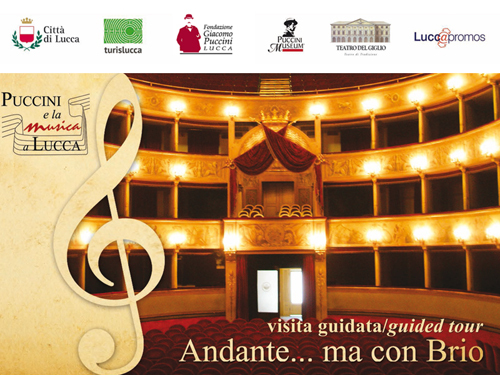 But we think that the main attraction of this itinerary is the “hidden Leonardo da Vinci”. What is it? You’ll have to take the tour to find out…. The fourth spot goes to another tour outside the Walls. Sites of war in times of peace; ditches, and bunkers among olive groves: The Gothic Line at Borgo a Mozzano. We’re extremely proud of this tour and very pleased that, from the outset, it has been met with great interest. World War II can still be a rather difficult subject matter to talk about but the majority of people feel the need to understand what happened and why. It is fascinating to move through the underground tunnels, ditches, and bunkers of the Gothic Line as they did 70 plus years ago, but unlike during World War II, today, we are fortunate to safely walk in and out of them at leisure and enjoy the peaceful surroundings of the Tuscan hills. Who would have thought that a tour about history for kids could be successful? Our fifth most popular spring tour is Kids Stepping Back in Time to the Middle Ages. The motto of this tour is “seeing is believing”. To see the history of centuries ago, up-close, is easier and more comprehensible than we think. How were coins minted? What were pilgrims and where did they go and why? Who and what are all those faces and strange animals we see on the churches and cathedral in Lucca? Well, we have an answer for everything. Our tours come together in many ways. Some of us have been passionate about certain subjects for years and want to share our information with as many people as possible. Some tours have been suggested by visitors themselves, some are classic tours, and some are based on trivia or interesting facts that are worth knowing. All our tours are well-documented and historically accurate and are led with great enthusiasm by our qualified professional guides. Our biggest satisfaction? When you tell us that our tours are, above all, entertaining! Posted in Blog ed etichettato bike tour, individual tours, kids tour, Lucca, Pisa. Bookmark the permalink.